Although these warthogs look simple, please be careful and keep safe distance since they can harm you in a while. Use of tele lens is recommended. Further about half a kilometer distance I could see Zebras in the open field, guide told me that there is water available and hence Zebras are being around almost throughout the year. Thing to note that Zebra and Giraffe seen here are having different colour shades than that would be seen at Masai Mara, you will see it in my post on Masai Mara Jungle Safari. This was a nice small trek in Kenya, other than this place you will not be able to take any jungle walk so easily, so I was happy to have first trail in grass fields of Kenya. My guide indicated return to the dining area as the lunch was ready. Look at the beautiful building, actually this was a home of English couple that decided to settle in Kenya. 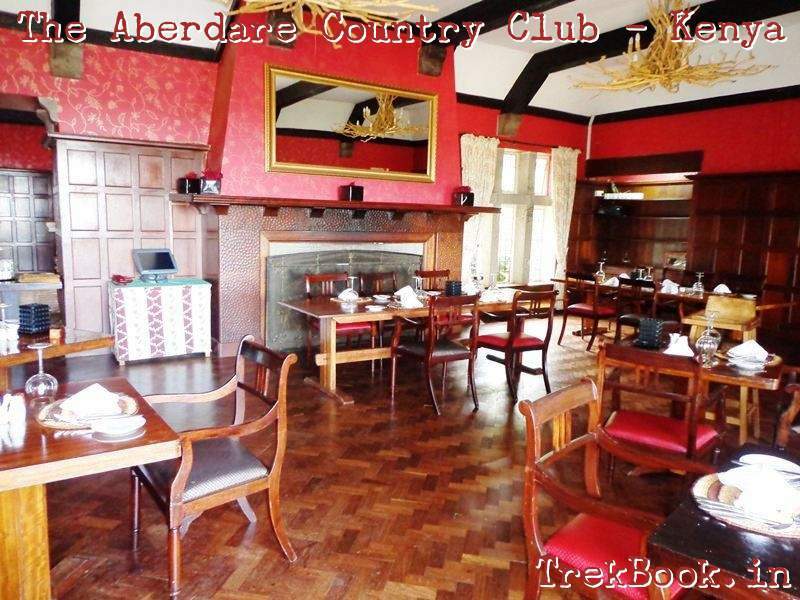 Almost 50 years later their home “The Steep” was converted into the Aberdare Country Club. This beautiful property is considered as heritage property in Kenya. Peacocks roaming around will make the lunch delightful … looks like they are so tamed that they let you get closer and closer .. I have added here interior photograph to show the typical English architecture even on furniture … looks great to be in a heritage building like this .. Finally what is most important is human rather than buildings and land …. Everyone working at the country club was friendly, courteous, and accommodating. 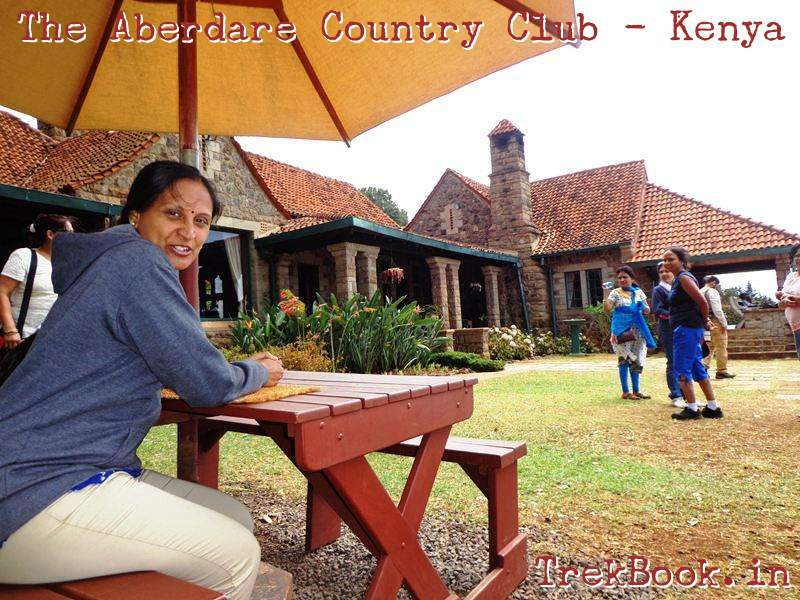 Below photo itself is self explanatory, needless to say anything more ..
After lunch, we handed over the bigger baggage’s to the cloak room and took only hand bags with us to proceed to The Arc situated in the Aberdare national park. They allow one hand bag per person, so take care to pack cloths, food, water, medicines, chargers etc. Excellent start !!! Eagerly waiting for more pics and details too……..Keep sharing & have a great time !! !